Sourdough bread is AMAZING. The flavour, the texture, the smell, it is unforgettable. The best thing about sourdough is that a good starter is really easy to make. All it takes is patience and a little know-how. Even then the only real trick is to making a really great loaf of bread is to make sure that your starter is happily bubbling away before you bake with it. Check the starter daily and mix vigorously to incorporate air. It should start former bubbles by the end of day 2. Once it has started forming bubbles feed the starter daily. Add 1 oz of warm water (32 C) and 1 oz of flour, and mix vigorously to incorporate air. 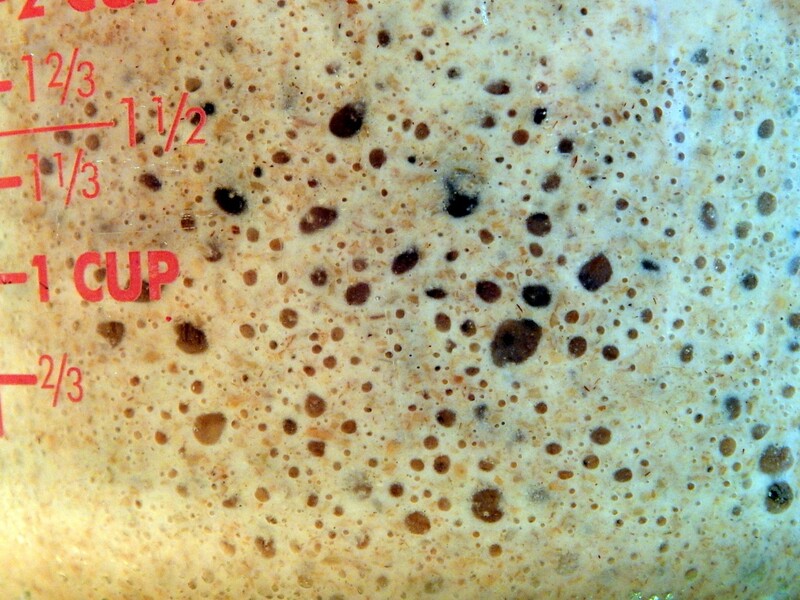 Within 4-5 days you will have an active culture, with lots of bubbles, which means you are now ready to bake bread! -Check out the Sourdough Archives page for recipes for bread, waffles, biscuits and more. that has a zeroing function. It just makes baking easy and more precise. -It can be difficult to catch a starter the first few times you make bread. Here’s a short-cut for anyone struggling with the traditional method. -The exact ratio of water to flour will depend on whether you’re using white, spelt, rye, etc. In the beginning you are looking for a thick, fully hydrated mix, but it shouldn’t be stiff. It will become more liquidy as the yeasts and lactic bacteria start to break down the starches. If you plan on making sourdough bread regularly, then it’s a good idea to give your culture a name (we call ours Gilbert) and feed it regularly. Feed your culture equal parts of water and flour (eg. 1 oz culture will eat approximately 1 oz flour and 1 oz water. By volume that is about 1 part culture to 1 part water and 2 parts flour). 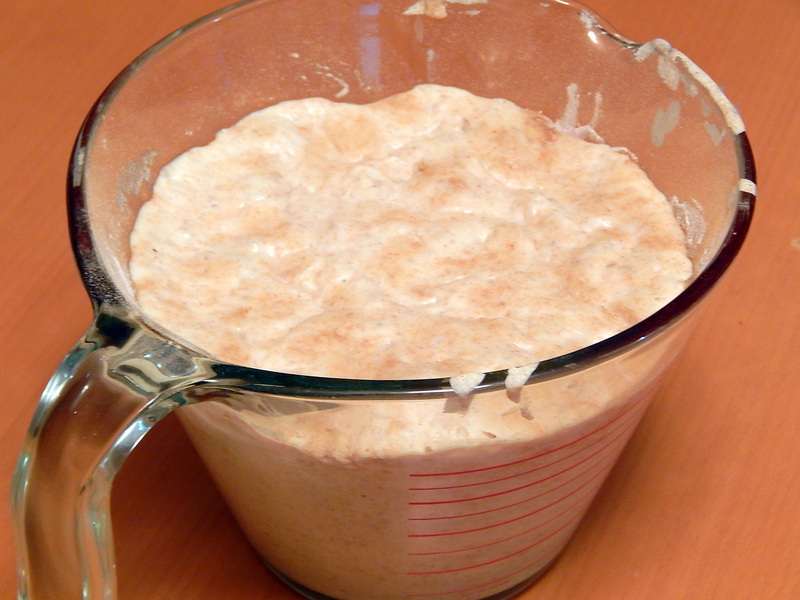 If you keep your sourdough at room temperature it will need to be fed at least every 12 hours to keep bubbling happily. In the refrigerator it will need to eat at least once every 5 days to keep bubbling happily. 1. The flavour and properties of your sourdough are based on the local strains of yeast and bacteria. This variability in yeast influences the flavour and leavening time, which is why every region of the world will produce a very different type of bread. Some areas have famous strains (Montreal, San Francisco) but most regions should be able to make a decent sourdough starter. This does mean that poor air quality might result in a bad tasting, or under active culture. 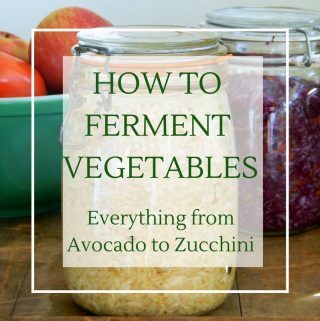 Check out the Fermentation Basics page if you are having trouble catching a good culture. 2. 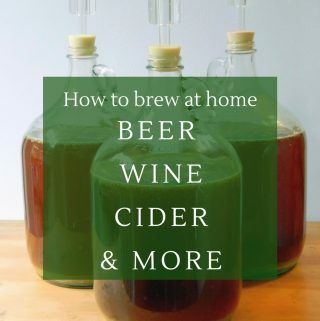 If you don’t feel like taking the three-five days to start your own starter you can buy one; however, if you keep the starter going in your kitchen it won’t take long before your local yeast and bacteria take over the party. 3. You can leave the starter in your fridge for up to a month without feeding. It will develop a brown liquid called hooch which you should pour off before feeding. It will take a few feedings to make your starter “happy again” but it will revive. 4. 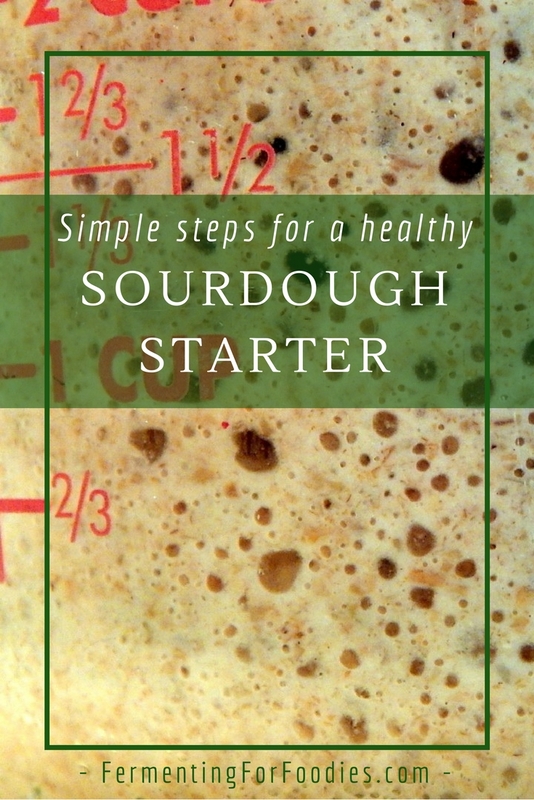 If you treat your sourdough like a pet and feed it regularly you will keep your starter happy and should be able to bake with it without a lengthy reviving process. 5. Sourdough has a long history. It is depicted in the artwork of ancient Egypt. And historically in northern climates people used to keep their sourdough warm in the winter by taking it into bed with them. Here’s the top of a bubbling starter. The bubbles are best seen from the side. 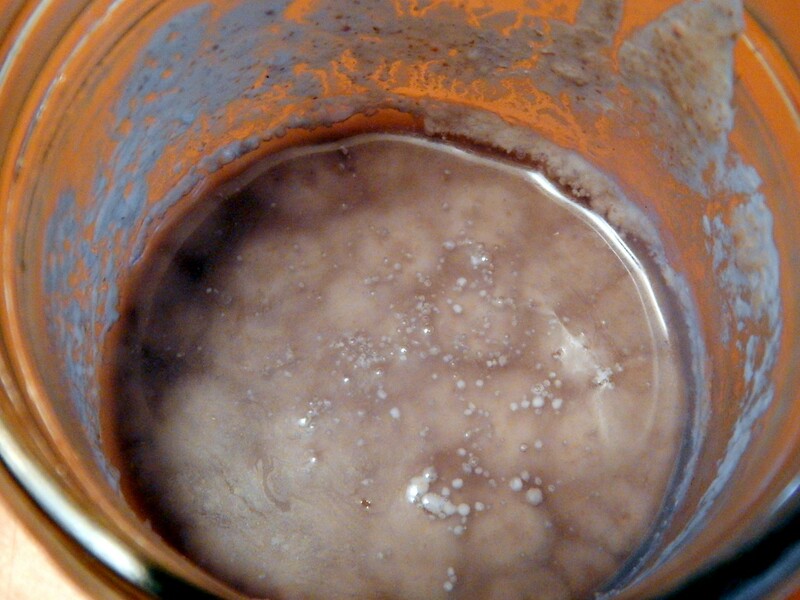 Here’s what the sourdough starter hooch looks like after a few weeks in the fridge. It can even get darker than this, and still be OK to use. However, if you aren’t making sourdough bread weekly, then I recommend making your culture from scratch each time. It usually only takes 3-5 days to create a new starter, which is about how long it would take to revive an unhappy starter. 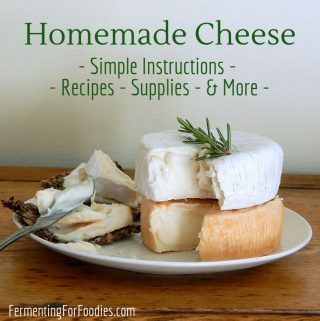 I have tried to make starter several times and never successfully. I like the simplicity of your recipe. I also like the small amounts of flour we start out with so I don’t have to discard so much. In fact, you don’t discard at all. Does this come later when making the bread? Does it matter what type of flour you use? Whole wheat? All purpose? I’ve used white, wholewheat and rye. When using rye or wholewheat you may need to add a little extra water, or do it by weight. It doesn’t really matter. But if it’s your first time it may take a while to catch your sourdough. 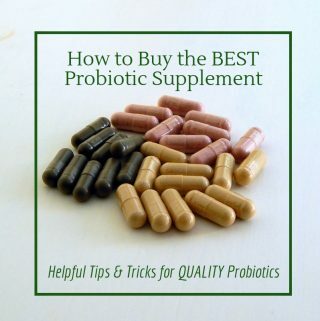 However, the more you make it, the easier it will be, because you’ll have more of the right types of yeast and bacteria in your home.